Please enter you participant number followed by an underscore, followed by your last name like so: NUMBER_Lastname. For example: 123456_Smith. If your number begins with a zero, please omit it. Swimgen is a third party service used by "YMCA of Sudbury" to manage report cards. 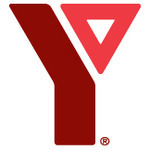 All graphics and text on this page are provided by "YMCA of Sudbury".